We have nearly 100% success sending clients home with a wide variety of ducks that are nearly impossible to find any where else. 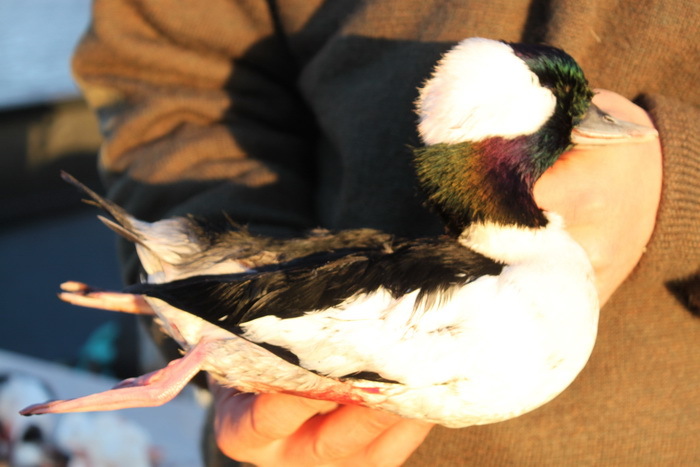 Discover exciting new trophy sea ducks to hunt. 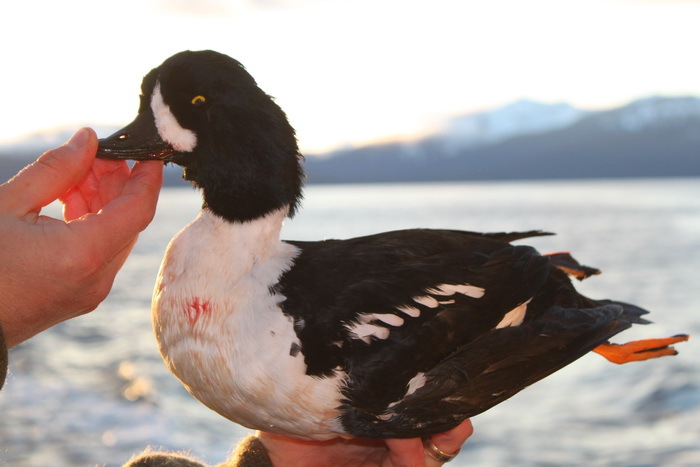 Join us to hunt Sea Ducks in Alaska. These beautiful ducks are a fantastic compliment to any trophy room and provide for an exciting wing shooting adventure. We have nearly 100% success sending clients home with a wide variety of ducks that are nearly impossible to find any where else. Combined with luxury accommodations, these hunts are highly popular and a true must do for the hunting fanatic. 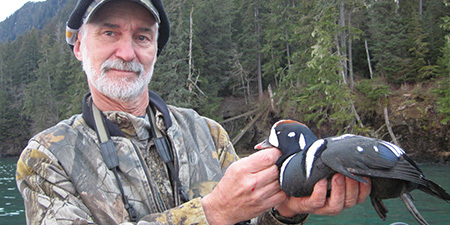 If you have not been to Alaska to hunt trophy Sea Ducks, now is the time. 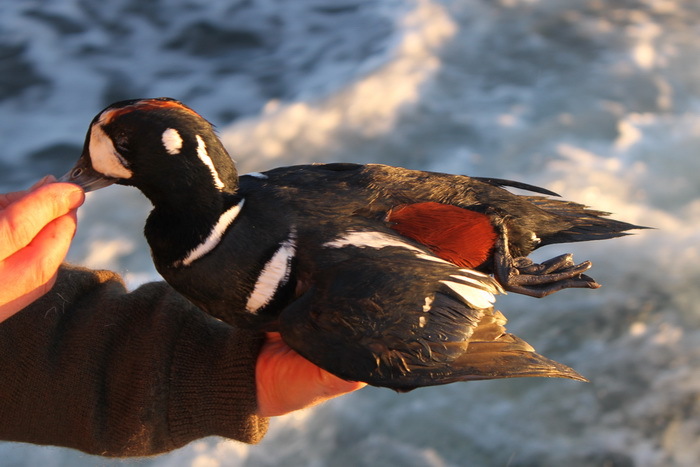 We typically offer sea duck hunts as a combination with the Sitka Black Tail deer hunts, as this can make for a fantastic hunting adventure, but we also offer custom Sea Duck hunts for the wing-shooting enthusiast. 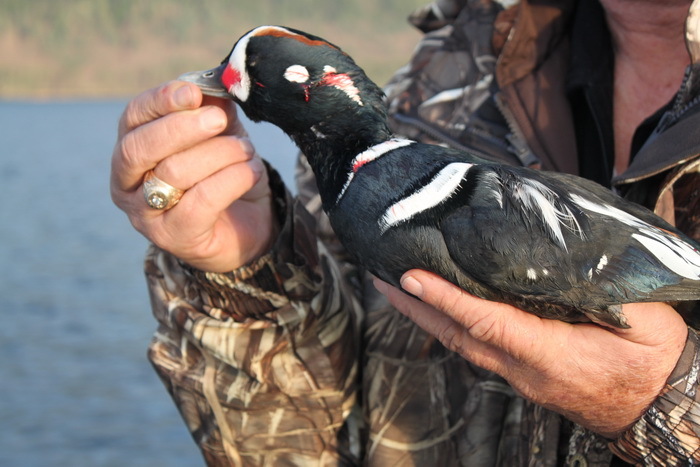 We will use a variety of hunting methods, utilizing many areas, blinds, decoys and a certain amount of local knowledge to insure all our waterfowl hunters have a great trip. 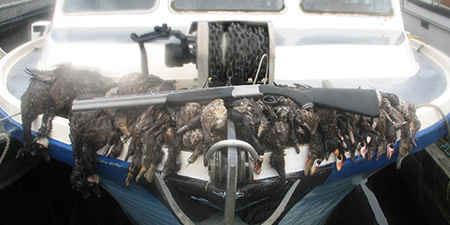 It is very uncommon that a duck hunter does not go home without his full bag limit as determined by species. Beginning in 2012 we will be utilizing a fully floating enclosed and semi-heated blind. 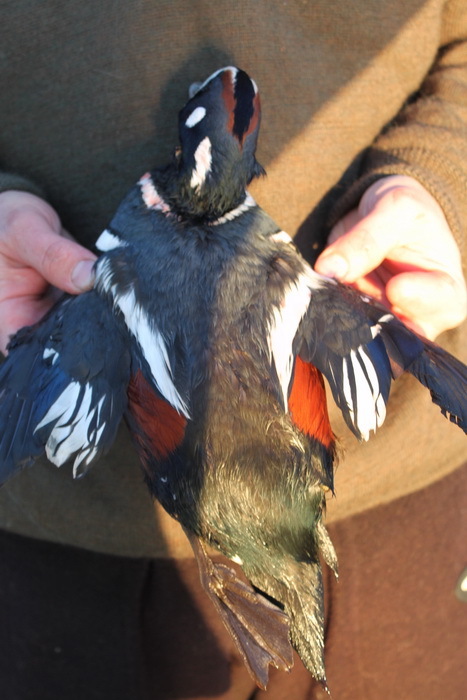 This will allow hunters of any ability to enjoy the fantastic wing shooting SE Alaska has to offer. For hunters who want the ultimate hunting experience, the MV Sikumi boasts a 5 star chef with personalized meals and ocean view staterooms. Read more about the accommodations aboard the MV Sikumi here. I would like to thank you and your crew for the best hunt I have ever been on, From the monument we stepped on the Sikumi your attention to detail was evident. The weather did not cooperate at all, but you and your crew still made sure our entire party had a successful hunt. The food was better then any restaurant I have ever been to. (and that’s saying a lot coming from NY) I cant wait to come back and see all you guys again, I will always cherish the time I spent with my new friends.